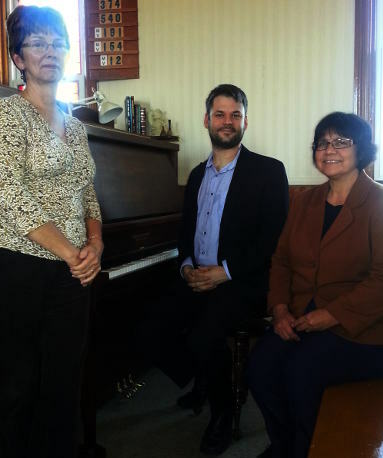 Our refurbished piano was well exercised by pianist Steve Boudreau on Sun., Sept. 27. There was an excellent selection of jazz and east-coast influenced tunes, a short film about Peter Kirkpatrick’s piano restoration process, some thoughts from the piano (! ), followed by ample and delicious refreshments. Thanks for visiting our little church Steve! And thanks to Beverley McKiver, Jan Brown, and the others who came together to make it a great event. Entry filed under: Music. Tags: .